When was the last time you drove by a house and were shocked by its curb appeal? This home was most likely larger than yours, had fresh landscaping and, last but not least, a paver driveway. The easiest and most cost effective component of the shock formula listed above is Richmond driveway pavers. From five thousand square foot mansions to fifteen hundred sq. ft. homes, pavers revitalize your curb appeal and the way you feel about your Richmond home. 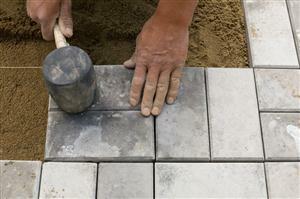 Most Richmond homeowners neglect their existing driveways when considering what to remodel. Brick or concrete pavers, however, when installed on your driveway will make such an immediate difference; you'll wonder why you didn't decide to do it sooner. The rich, vibrant colors, varying shapes, and design options can replace the typically drab and dilapidated surface you currently have. The stylish end result will not only become the focal point of your curb appeal, but the most enjoyed addition to your home. 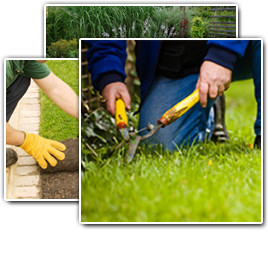 If you're looking for a professional driveway paver installation contractor in Richmond, then please call us today at 804-464-8456 or complete our online request form.